On July 1, Connecticut became the 30th state in the country to require behavior analysts to obtain a license to practice what has become the best-known approach to treating children with autism. Behavior analysts help individuals change behaviors associated with negative consequences to improve outcomes. Being licensed will allow behavior analysts to be reimbursed by insurers. And, it ensures that families, public school districts, the state Department of Developmental Services (DDS), private insurance, and Medicaid providers have a means of regulating the practices of behavior analysts. Behavior analysts have earned a graduate degree in behavior analysis, education, psychology or a similar degree program, complete extensive coursework and practical experience and pass a Board-Certified Behavior Analyst (BCBA) exam. Certification is granted by the Behavior Analysis Certification Board (BACB) in Littleton, Colorado. The Connecticut Department of Public Health (DPH) launched its licensing portal on Feb. 28 to prepare for the law taking effect and had licensed 662 individuals as BCBAs of Sept. 7 with another 62 applications pending. Rhode Island was the first New England state to require behavior analysts to obtain a license in 2012 followed by Massachusetts in 2013 and Vermont in 2015. Maine and New Hampshire do not require a license. New York’s licensure requirement took effect in 2014. To obtain a license in Connecticut, applicants must provide evidence of BCBA certification to the state’s commissioner of public health and pay a $350 application fee. Annual renewal costs $175. “The primary reason for licensure is consumer protection,” said Suzanne Letso M.A., BCBA, president of the Behavior Analyst Leadership Council in Milford, Connecticut. She has had personal experience with this problem. Shortly before Connecticut’s law went into effect, Letso learned the behaviorist assigned to her 28-year-old son with autism who lives in a group home had a master’s degree in business administration but no behavior analysis training. Letso spent five years trying to get a licensure law passed in Connecticut. She worked with different stakeholder groups and state Rep. Catherine Abercrombie (D-Meriden) to get the state to pass the licensure law last October after it was attached to a budget implementer bill. Many psychologists already practice behavior modification. But Traci Cipriano, J.D., Ph.D., former director of professional of affairs for the Connecticut Psychological Association (CPA), acknowledged the public need for behavior analysis was beyond what psychologists alone could provide. CPA worked with the stakeholders and DPH to ensure that the language of the law did not infringe upon the scope of practice of psychologists, Cipriano said. The new law allows for behavior analysts who practice in another state to apply for a license in Connecticut provided they have no disciplinary actions or unresolved complaints pending. Rafael Gallegos, Psy.D., senior managing partner and clinical director of Applied Behavioral Sciences, LLC in West Hartford said he believed licensure will add a layer of protection for the public. But he was concerned that the public might mistakenly think a licensed board-certified behavior analyst could handle any behavioral problem. 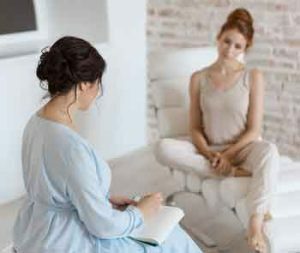 Complex drivers behind behavior, such as a history of trauma, require clinicians with more training, said Gallegos, whose practice treats many cases that come from DDS and the state Department of Mental Health and Addiction Services. “Applied behavior analysis might be a useful tool but it’s not sufficient to address the more complex issues,” Gallegos said. Connecticut has added behavior analysts to the list of professionals with frequent contact with children who are designated as mandated reporters, meaning they are required to report known or suspected incidents of abuse or neglect of any child under 18 or any child under age 21 under state care. BCBAs are in high demand with current estimates suggesting one in 59 children are diagnosed with autism spectrum disorder. Applied behavior analysis has been recognized as an effective treatment for autism by the U.S. surgeon general, the American Academy of Pediatrics and the National Institute of Mental Health. A 2013 study conducted in Alabama and published in Research on Social Work Practice found training programs that taught biological and foster parents’ skills to create safe, positive, and nurturing environments for children were shown to be effective in keeping families together and reducing state costs. Behavior analysis is also used to improve workplace safety and in dementia treatment and elder care. Janine Weisman is a journalist based in Newport, Rhode Island, who frequently writes on mental health. Find her on Twitter at @j9weisman.